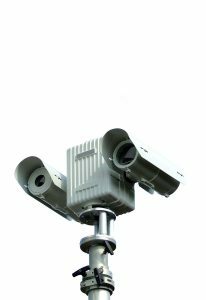 With lens options up to 225mm, this platform is design for long range applications such as Aviation. 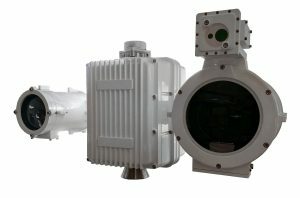 The fixed through shaft, running through the Jaegar Pan and Tilt unit allows the cameras to rotate 360° continuously while keeping a payload on top fixed in position, perfect to twin with radar and other detection technologies. 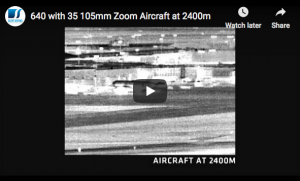 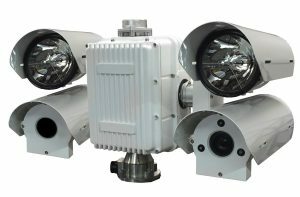 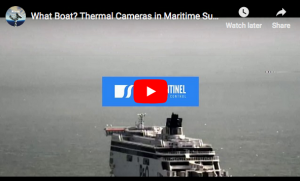 A range of thermal zoom cameras and the 15-500mm HD video camera are available, all supplied in cable managed housings for protection in the harshest environments. 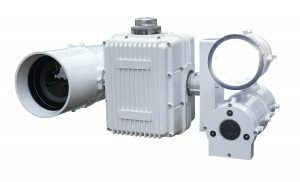 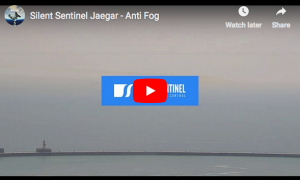 With harmonic drive gears as standard the Jaegar has virtually zero backlash ensuring the capture of stable images even at very long distances over land or water.